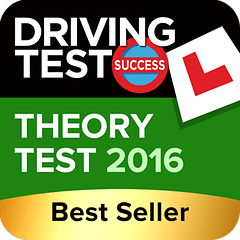 In need of some extra assistance with your theory test? Here’s my top two apps to help you ace it! Whether your all booked in for your theory test or just starting to think about booking driving lessons, there is no time like the present to start revising! Luckily studying for your theory has never been easier with the help of your trusty smart phone! In this blog I’m sharing with you my favourite apps to get you through your driving theory in no time! 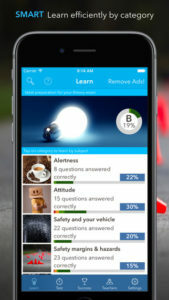 First up for apple users, here’s the free iTheory Driving test app. This app has been downloaded over 2 million times. 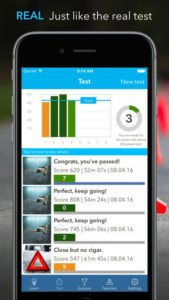 What we love about this app is how quickly its updated, within hours of any updates to the official theory test, the developers will send out an update. All the questions are from the official DSA examination. As you can see from the screen shots this is a very easy app to use! For android users I would highly recommend this app. This app isn’t free but for less than the price of a return bus ticket to Nottingham you will soon be on your way! As with the iPhone app, this app is packed full of all the latest official DSA questions and will even give you a customised progress report to help you pass first time! Thanks for reading, Don’t forget to get in touch if your looking to start your lessons in Nottingham!